How many times have you been scrolling through your Facebook feed or been on Instagram and have seen those terrifying photos and/or videos of risk takers traversing a bridge so high that you can’t even look at it? 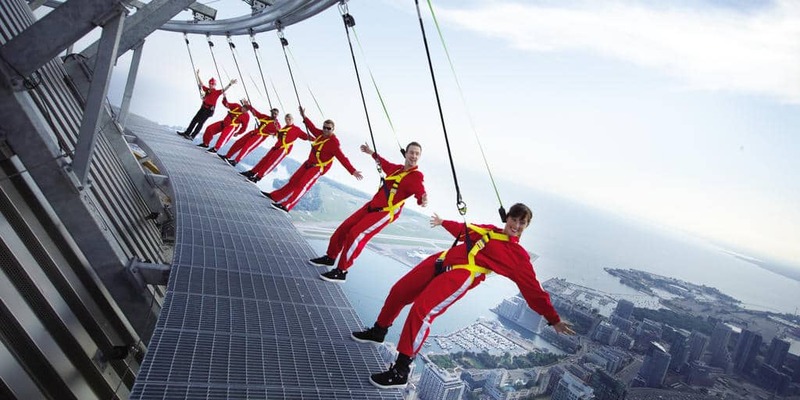 Just the mere thought of the idea sends your acrophobic self into panic mode. I don’t like heights–never have, but there are some things I’ll consider doing–and the new SkyStar Wheel at the Banks is one of them. private experience–seating only 6 people each–and you’re not paired with strangers. The ride goes through four rotations and is completed in about 12 minutes. 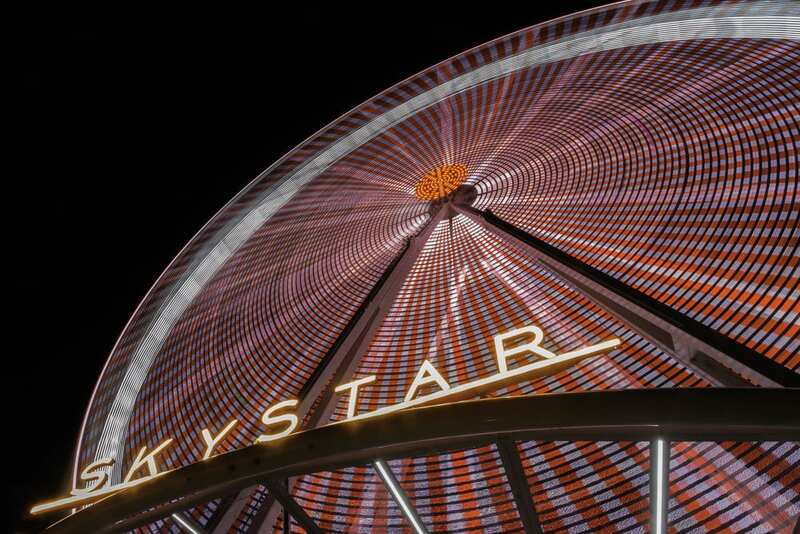 With over one million LED lights, the SkyStar Wheel is the largest mobile observation wheel in the US. You’re sure to see some unique views of downtown Cincinnati, Northern Kentucky and the Ohio River on any given day–and you’ll be able to get a completely different view of Oktoberfest Zinzinnati and tailgating at the Bengals games. night Friday; 10 am-midnight Saturday and 10am-10pm on Sunday. 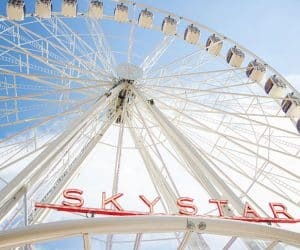 Want two FREE TICKETS to the SKY WHEEL? Book one of our Jacuzzi Suites for this Friday, September 14, 2018 and we’ll throw in two tickets. You’ll need to mention this blog and that you want the tickets. 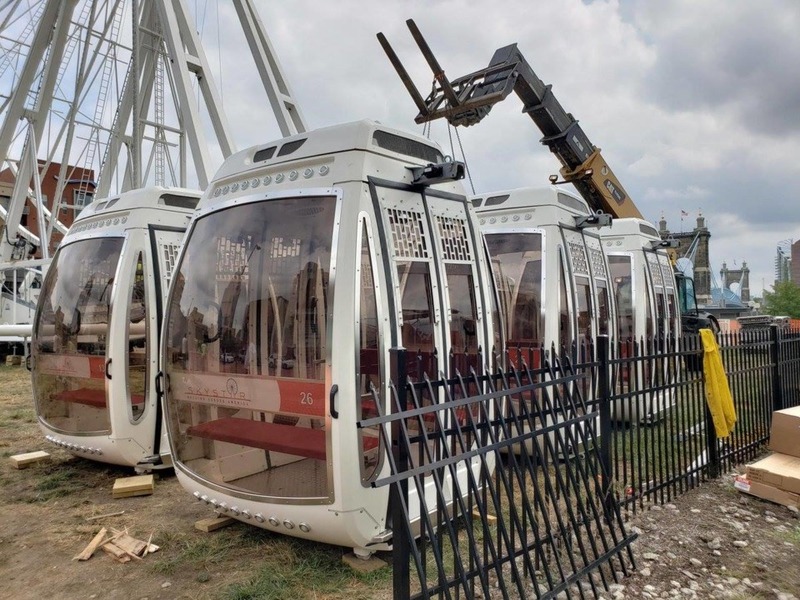 This entry was posted in Cincinnati Vacations, Fall Festivals, Family Activities, The Banks, Uncategorized and tagged Cincinnati Bengals, Cincinnati Downtown, cincinnati family activities, Cincinnati skyline, Ferris Wheel, SkyWheel, The Banks by admin. Bookmark the permalink.